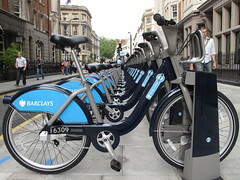 Anyone that has been into central London after the 30th of July will have seen the Barclays liveried cycle hire bikes that are scattered across 7 boroughs of central London. Thousands of people use them each day, with peak days reaching over 20,000 journeys being made. Who would have thought that this scheme would work, adding such a scheme into a busy metropolitan city such as London could easily lead to a disaster. A similar scheme in Melbourne, Australia failed dramatically. That was mainly down to the mandatory cycle helmet laws they have over there. Why is the success of such a scheme important for cycling in London and potentially England? The added cycles to the road and image value that they have will make people aware that cycling is the cheap and easy transportation. The easy access to the bikes also gives people the freedom to cycle around the City and in many cases people start using other bikes for other duties, such as commuting. The sheer volume of cyclists on the road during non commuting times has increased dramatically and the bicycles i see the most are the cycle hire ones. 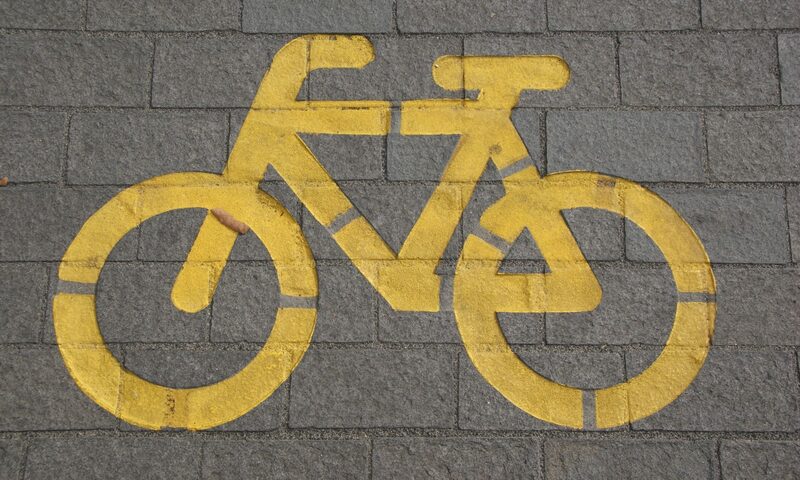 Could the success of this scheme be the next big thing for the Cycling Revolution in the 21st century? In the first 2 and a half months 1,000,000 cycle journeys were made using the Barclays cycle hire and with only 90,000 people registered that means each user has used a hire bike on average 11 times. This makes the Barclays cycle hire scheme more succesful than any other cycle hire scheme of its kind in the world for its uptake by the public that uses them. For the lucky person that took the 1,000,000th bike for a spin, Barclays have awarded them and 3 of their friends a 5 year membership to the scheme for free. This lucky person is Rupert Parson from Balham, South London, he also wins a cycling makeover at Bobbins Bicycles in Islington. Rupert is not just a user of the cycle hire scheme, he also uses the Cycle Superhighway 7 to commute to work. Clearly the two major cycling schemes in London are working well for Rupert. Clearly from the quick uptake, even with technical issues and access limited to people in the UK with credit or debit cards, the scheme has been a massive success and lets hope that it continues to grow. Beware. They took £50 out of my account at the start of October when I had not even been in London let alone on one of their bikes. They have yet to refund it despite repeated phone calls to their clueless, sniggering teenage call centre staff. Great scheme, i love it: just fast and loose with your bank account. Beware. I’m sorry to hear that the other commenter had a problem with the charging. I thought they had solved those issues by now. Personally I have nothing but praise for the system. I love it and currently use the bikes twice a day to help shorten my commute. My only complaint is that sometimes I can’t get a bike when I want one, but even that is tempered by my joy that the scheme has been so successful and that there are so many more people cycling on the streets. Can only be good for us all in the long term to have more numbers. I hope that the increase the numbers of bikes and docks soon.